Do you crave festive cocktails? Do you need to be warmed up? Then you’ll want to celebrate National Hot Toddy Day on January 11. 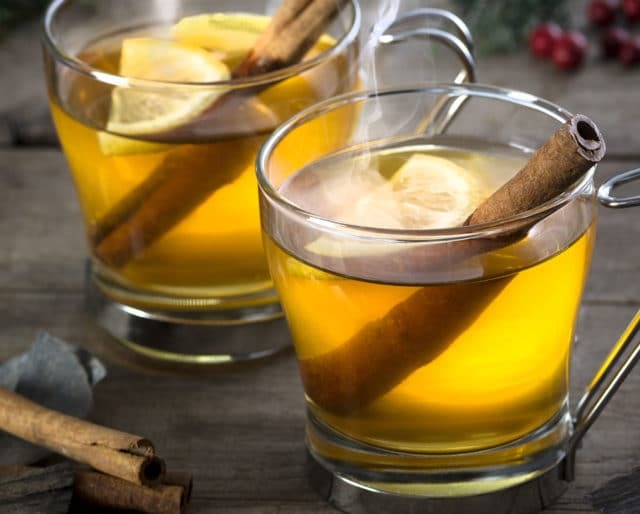 The warm drink is created in a kettle with various kinds of alcohol (usually rum, brandy, or whiskey), along with honey, lemon, water, and a cinnamon stick. It’s best enjoyed by the fire — preferably with snow falling outside. This toasty drink is even rumored to relieve cold and flu symptoms, but we’ll leave that part up to you. Hot toddy lauded as a "cure-all"
The Burlington Free Press published an article calling the hot toddy a cure-all drink. American soldiers fighting in the Revolutionary War put their twist on the hot toddy, using rum and brandy instead of whiskey. Scottish doctors created this warm drink as a treatment for sore throat and congestion. There are all kinds of twists on the classic recipe, from tea and coffee, to butter and apple cider. Use hot toddies as an excuse to bond with an old friend or a new one. If they don't drink, whip up a virgin version. Snap a pic of your hot toddy to share on Facebook, Instagram, and Twitter. Remind your friends that #NationalHotToddyDay is meant to be celebrated. Switch out the traditional liquors with Scotch, but be warned — it's strong! Mix the alcohol of your choice with some apple cider — we recommend whiskey. Mix the typical ingredients with some ginger-flavored liquor like Domane de Canton. This just says cozy. Combine cinnamon schnapps with hot apple cider and cuddle up. For one of the most lavish versions of the hot toddy, combine the usual ingredients with a few tablespoons of butter. That's smooth. Winter brings all kinds of dark and chilly factors into your life. Thankfully, hot toddies are here to fend them off. Hot toddies are largely alcohol. But the other ingredients aren't going to induce a hangover. You've got water and lemon juice, and the only sugar is from the honey. Cinnamon and dark liquor? Sounds like the makings of a midwinter tradition.